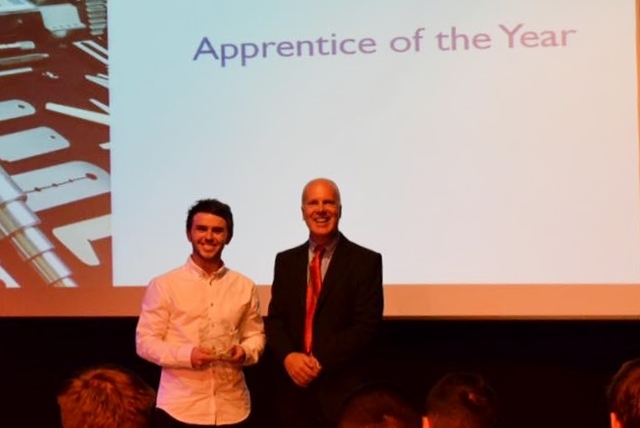 We are proud to announce that Luke Fairhurst, who completed his apprenticeship with us in December 2016, has been awarded the very prestigious Apprentice of the Year award. The award was presented to Luke during the Engineering Awards evening which was held by Burnley Uclan College. 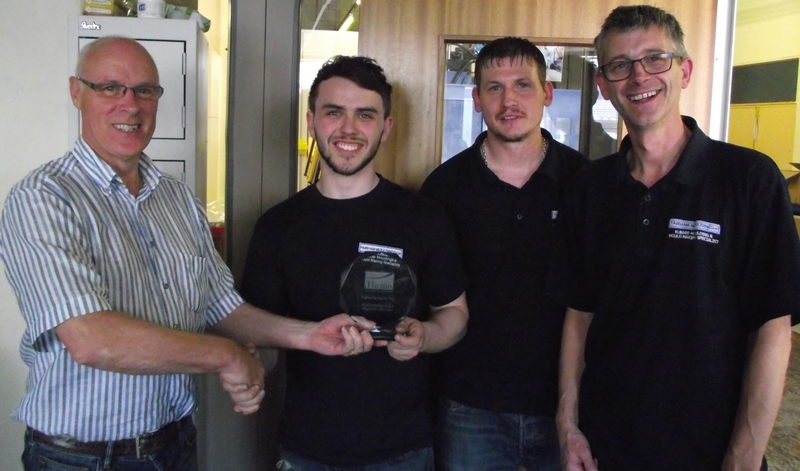 Luke is seen being presented with his award in front of staff, by his Mentors throughout his apprenticeship, John Fairhurst, Andy Fawcett & James Austin. Luke will continue with his professional development with us, and will begin his HND in Mechanical Engineering.